This is not a metal album by any means, and you are probably wondering why are we reviewing it. Well, in our opinion Anneke has been one of the most influential female vocalists in Gothic Metal, since it propelled The Gathering into international stardom, and she has participated in countless projects as well with many well regarded musicians in the Metal community. Amorphis are back after 2 years of touring and promoting their highly successful album “Silent Waters”. This finish band is back with a perfect follow-up album with “Skyforger”. Capitalizing on the strengths of “Silent Waters” and using Tomi’s great vocals to the full extent they provide us with their highest quality release of to date. 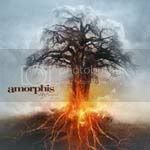 I have been a fan of Amorphis since “The Karelian Isthmus” and their fabulous transition into a more mature and fresh sounding Metal. After being a bit disappointed by “Silent Waters”, I picked up this new single that contains 2 versions of the title track “Silver Bride” and a track called “Separated”. I was pretty satisfied with the quality of the songs presented here and made me be hesitant to the late May release date of the full album. Seven years! 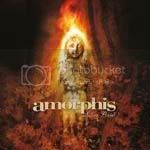 !, yes seven years have passed since “Ashes You Leave” released their last opus called “Fire”. While that album showed the band’s transition into a more Gothic influenced Death Doom Metal, it was still a masterpiece that is always in constant rotation on my Ipod, and checking right now with my Itunes library, it’s the most played album on my device. When I received this promo, it came with much hype behind their single “Kill Fashioncore” and the band has the whole anti-emo theme. I’m 100% anti-emo and dislike most of the Metalcore relases out there so I thought this would be an interesting album to listen. “Destroyer / Creator” begins like any other Death Metal release, but after the first song you start to realize that this is not your average release. 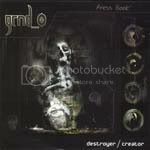 Grnd_0 have several elements in their sound that sets them apart from many Death Metal bands. I hear some resemblance to Nevermore’s music when I listen to “Destroyer / Creator” but other than that, this band blends many elements very well together. Dakrya is a Greek band that packs a lot of punch in a small package. And by this I mean that their sound is very varied and dynamic. “Monumento” is a very rich release that features a band that has many musical influences. Listeners will never be bored by this release since every song is a bit different from each other. 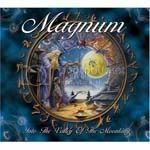 Magnum has been around since 1972 and after taking a break from 1995 to 2000 they came back stronger than ever. “Into The Valley Of The Moonking” is an excellent example of current Metal influenced Rock releases capturing the old school sound. This album will send the listener a few years of AC/DC and bands alike. 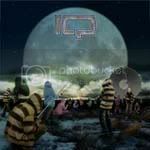 Progressive rockers IQ return with their latest album “Frequency”. This band has released very solid albums over the years and “Frequency” is not the exception. If you are looking for a traditional progressive rock release, this album is one of the best releases of the year in the genre. The Scottish pirates are back with the latest full length “Black Sails At Midnight”. This album features some songs already released in the last EP “Leviathan”. 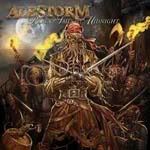 Alestorm goes back to their traditional formula of heavy metal infused with pirate themes. I got the chance of catching this band live during the Pagan Fest tour along Tyr and Suidakra, and they are a very entertaining band to see perform live.